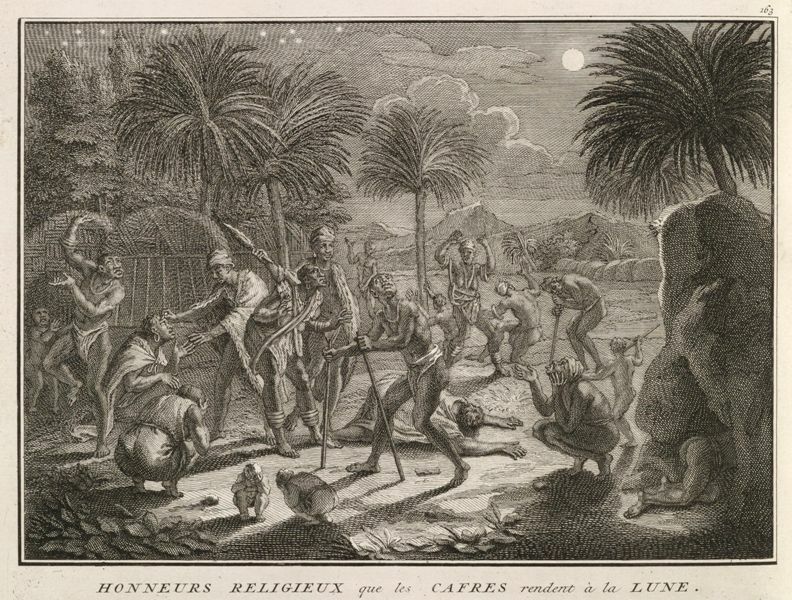 Another of the many surprising finds for the exhibition Black is beautiful Rubens to Dumas, were the prints by Bernard Picart for the series Cérémonies et coutumes religieuses de tous les peuples du monde. I did’t find these prints by reading Art Historical literature, they were barely studied and hardly written about. I found them because I ran through whole collections looking for artworks with depictions of black people. People have choices in the things they see, and therefore the history of art will always be rewritten. Bernard Picart was a French-born Catholic who converted to Protestantism after a visit to Holland in 1696. In 1710 he fled from Paris to The Hague, to escape persecution of the Huguenots in France. In The Hague he became one of the founders of ‘Les Chevaliers de la jubilation’, a secret, early version of a freemasons’ lodge to which a number of enlightened French refugees belonged. 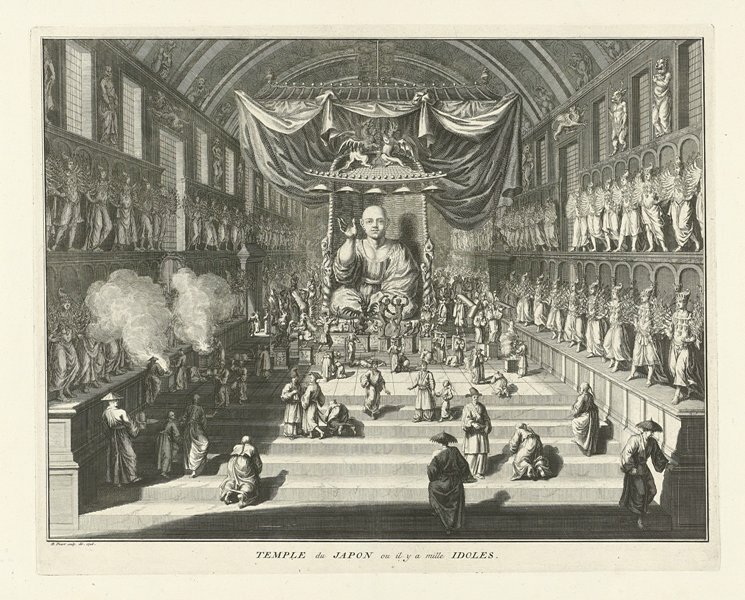 Picart moved to Amsterdam where he worked until his death in 1733. 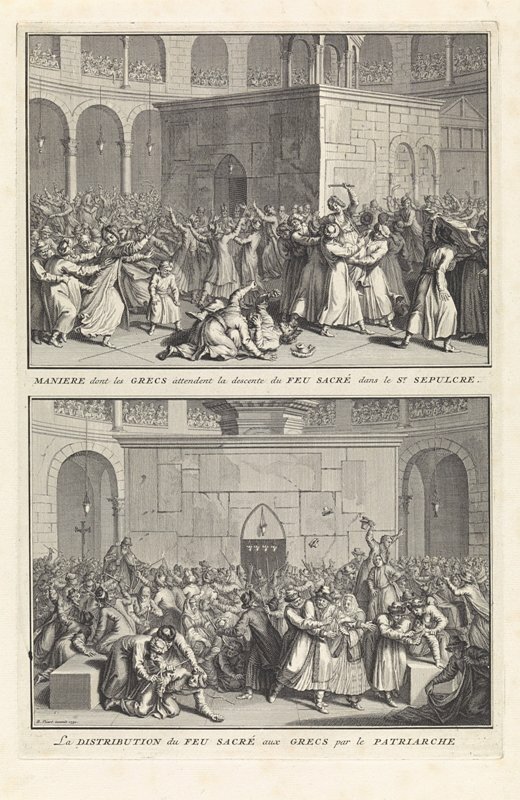 In 1720 the first notice of the series Cérémonies et coutumes religieuses de tous les peuples du monde was published, for which Picart was to provide the prints. 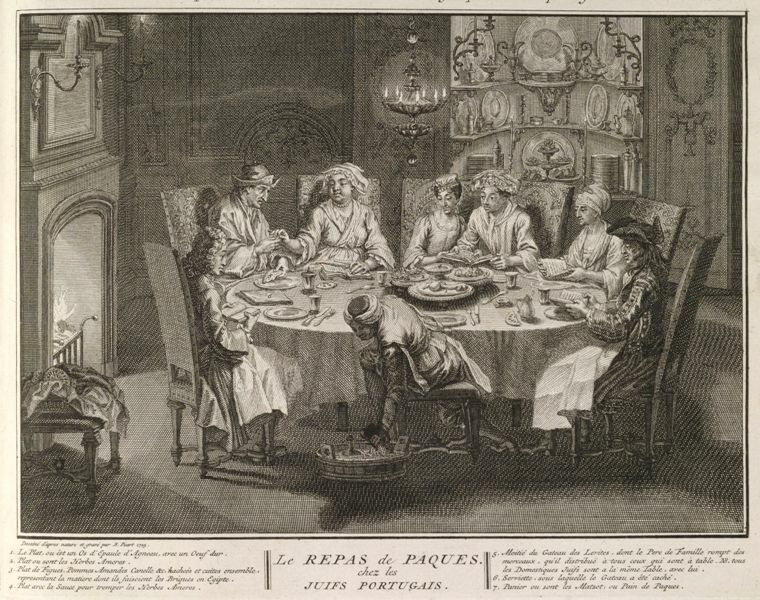 The series was entirely in character with the French enlightenment movement of the Encyclopaedists whose aim was to record the world and its people, wherever possible, in encyclopaedias. 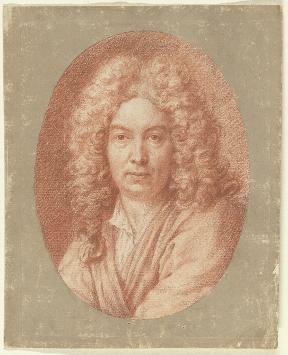 The publisher, Jean Frédéric Bernard 1683 –1744, who lived in Amsterdam, had an additional aim in mind for the series, however, since he had already sought to specify the essence and function of religion amongst peoples ancient and modern, the ‘savages’ and the ‘civilised’, the heathens and the Christians, in his thesis Dissertation sur les cultes religieux, his ultimate aim being to identify the nature of mankind. 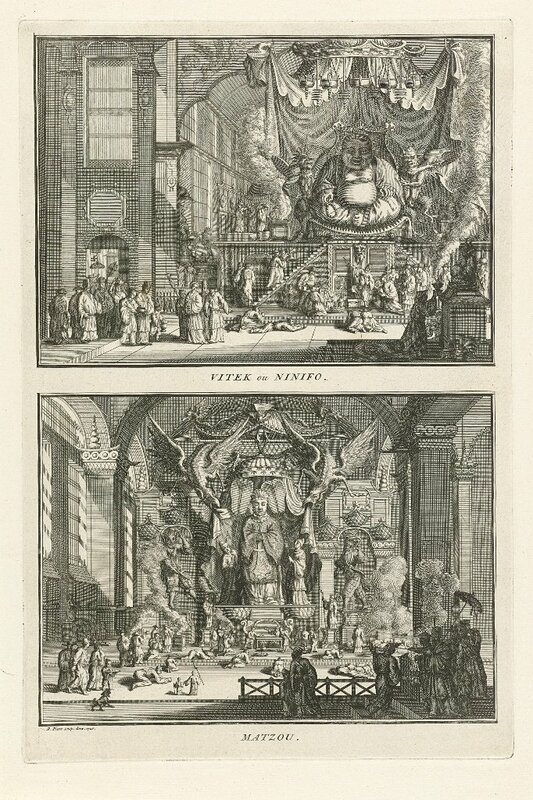 In the introduction to Cérémonies, which was entitled Plechtigheden geestelijke gewoontes Naaukeurige beschryving der uitwendige godtsdienst-plichten, tempelzeden en gewoontens der afgodische volkeren, kerk en tempelplichten van alle volkeren der waereldt in Dutch, Bernard declared that in general all religions were similar, for they had the same principles and pursued the same objectives; moreover, all had one or more gods, demons or spirits who were feared and called powerful and to whom people were required to proclaim their religious devotion. The Cérémonies was thus designed to allow comparison of such usages. 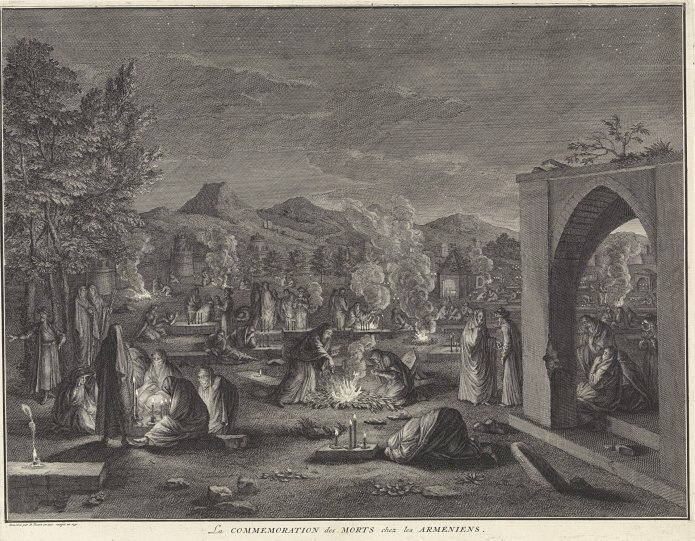 Most faiths, for example, had initiation rituals such as circumcision which was practised amongst the Jews and by a number of African religions. Both groups are represented in the series. 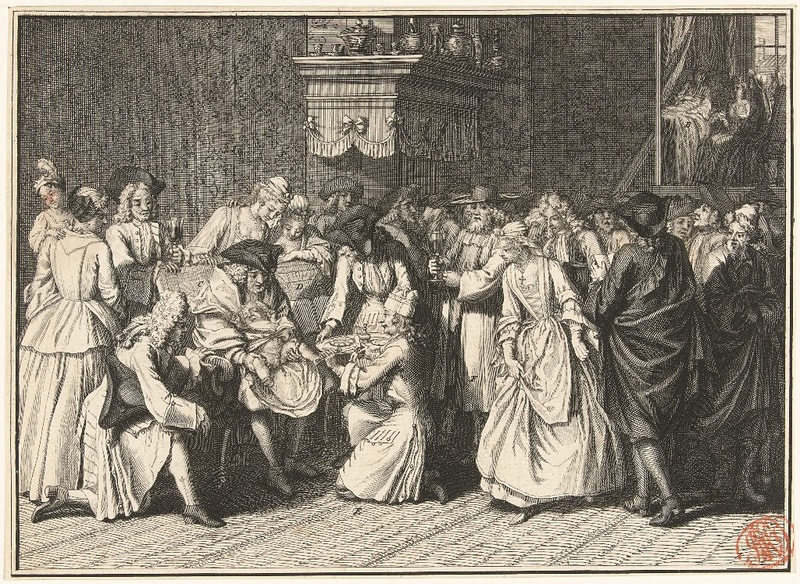 The print of Jewish circumcision – which was not displayed at the exhibition – shows a large group of Amsterdam Portuguese Jews, dressed in the latest fashion, in the synagogue; in the centre of the image lies a small, naked boy on somebody’s lap, with a man seated before him, ready to perform the circumcision. 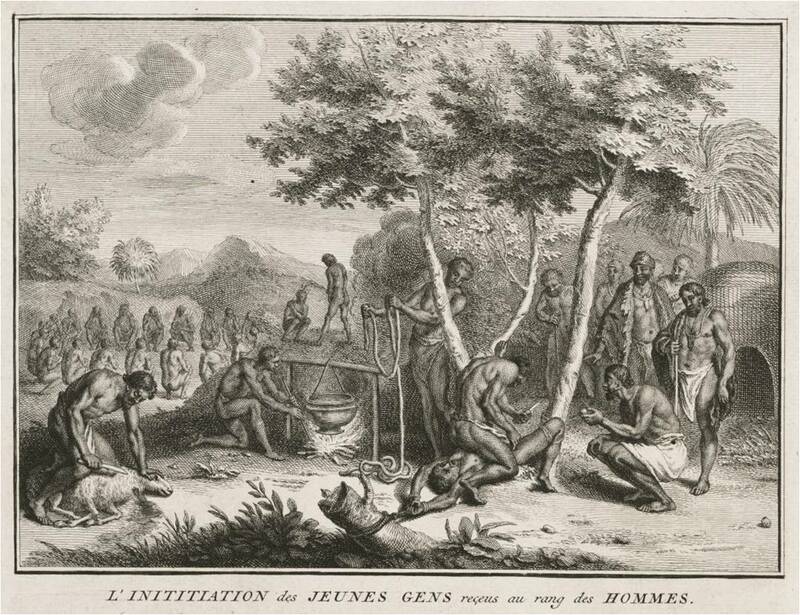 The etching by Picart that was on display shows the African version of the initiation ritual. 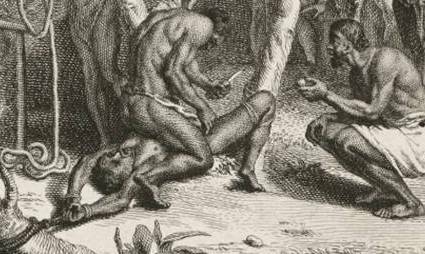 Once again he has depicted the moment shortly before the act, the differences being that the African ritual seems more brutal, the Africans are scantily dressed and the man about to be circumcised is an adult. 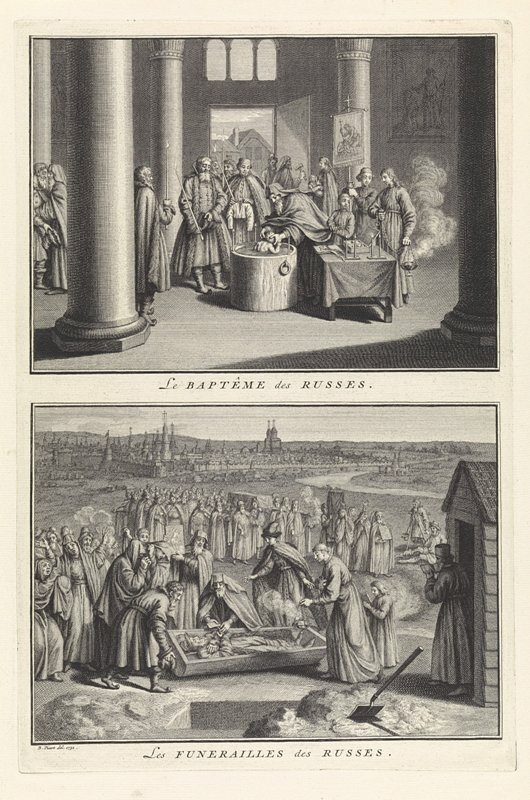 Beneath the circumcision scene is a funeral ceremony, a ritual considered of interest in every religion, given the many prints in these books on the subject. 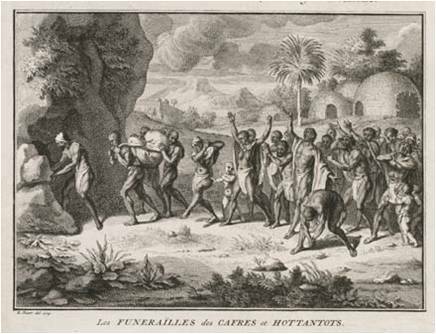 Amongst this group of Africans three strong men are carrying the deceased person into a cave, followed by a cortege of mourners. The ceremony is somewhat comparable with European funerals. Other African ceremonies and rituals represented in the series include the worship of gods and spirits, petitioning the gods for rain, commemorating the dead, wedding ceremonies, a morning greeting and birth rituals. 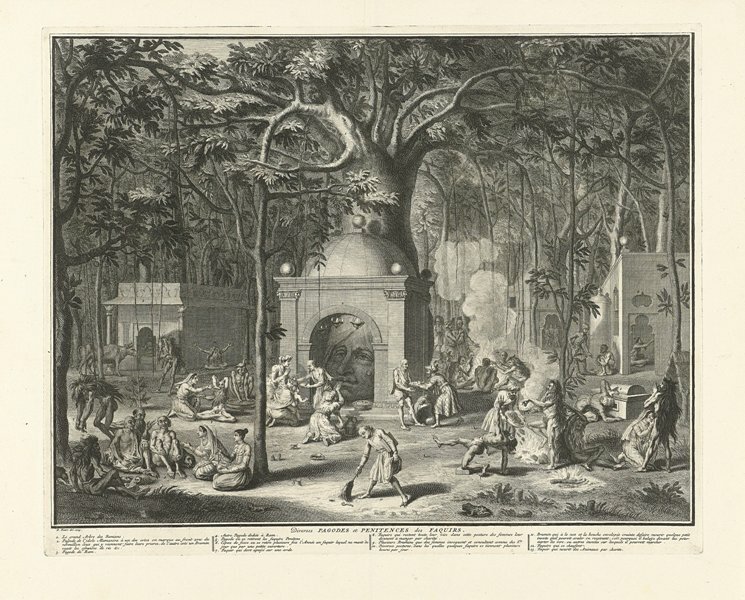 The public proved to be most interested in the exotic peoples in Naaukeurige beschryving der uitwendige godtsdienst-plichten, tempelzeden en gewoontens der afgodische volkeren, the title of the fourth volume in which the Africans feature. Large numbers subscribed to this work when its forthcoming publication was announced which is why it was published immediately after the first volume, while publication of volumes 2 and 3 was deferred to a later date. The last two decades male circumcision is a subject for contemporary artists in South Africa. You can read more in f.i. the new publication Visual Century. Visual Century is encyclopaedic in scope. 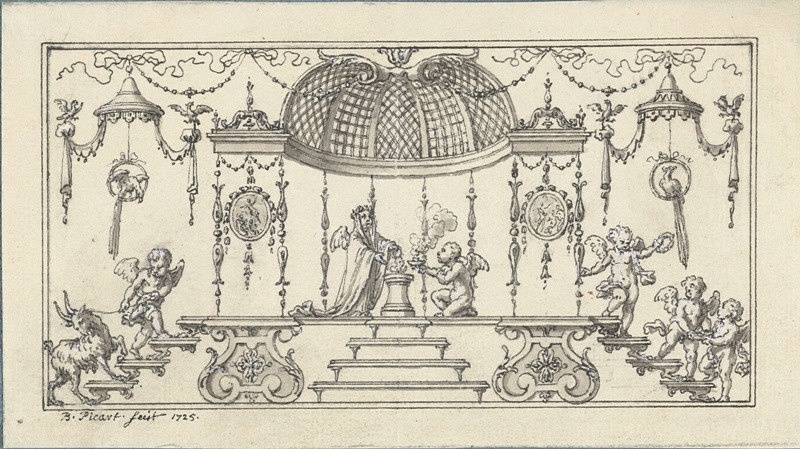 See the website of the Rijksmuseum in Amsterdam for more than 2000 works online by Bernard Picart. Dank voor weer een interessant artikel. Dank. Het is ook wel een bemoedigende gedachte dat het herschrijven van de (kunst) geschiedenis nooit afgelopen zal zijn. Zowel in Nederland als in Zuid Afrika. 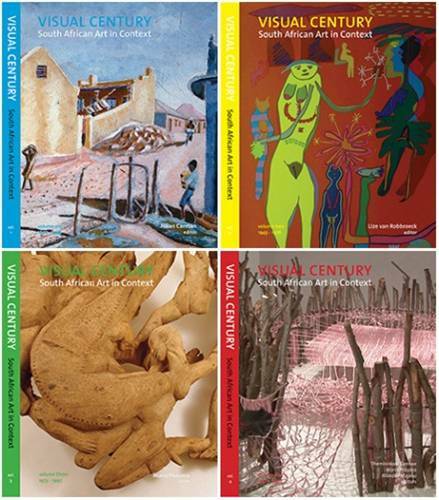 De vier boeken in Visual Century herschrijven de kunstgeschiedenis van Zuid Afrika 1907-2007. 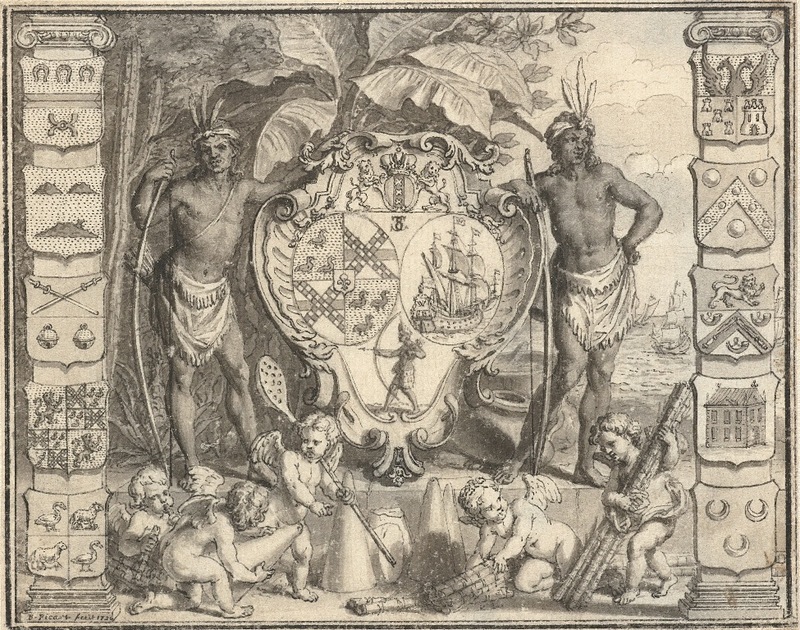 Hun oude kunstgeschiedenis overzichten (voor zover ze bestaan) hadden nogal wat Nederlanders die naar Zuid Afrika zijn gegaan in de canon. Die staan er nog steeds in, maar nu bescheiden.